Wow! This week has gone already! Thank you for the support getting Nature Rx 100 started; advice, brainstorming, research, investment and certainly not least - encouragement. The Nature Rx 100 concept felt ambitious to me, I didn't feel that I had enough data and scientific evidence of the effect of nature on the brain and body. I wanted to better understand the psychology behind how the weight-loss system works and I was aware that - I wanted validation. I voiced my concerns to an adviser and she asked - "What are you afraid of?" I replied "Well, seeing as you asked... it's fear that it won't work, fear that I'll get rejected, fear that no one will come, fear that I'll run out of money and be poor, fear that I'll look like a fool for trying, fear that I don't have enough skill, experience or education, fear that I'm not good enough" There was more but I stopped there. "Fear" she said, "False Evidence Appearing Real". I was running this morning and thought to myself, "When have felt happy in this way before?" I remembered. It was when I first made a decision to get into coaching and outdoor work. 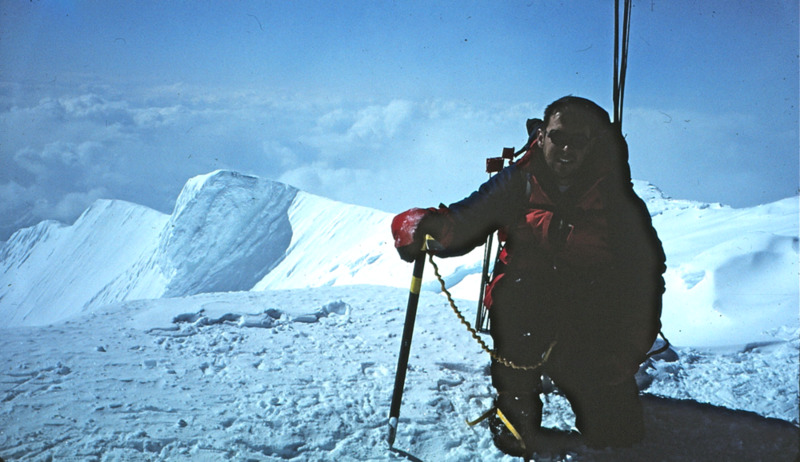 It was 1999 on my first climb on Denali in Alaska, I remember feeling immense fear at the prospect of going higher. At 14,000 feet I was already higher than I'd ever been, it was minus 30 degrees F, and there was a ledge at the end of camp which went five-thousand feet straight down! This was also pre-guiding days. I really didn't know what I was doing.... I felt like I was in over my head and my two partners, were more scared than I was - so much so that they decided we ought to go down. We had a weeks worth of food left and we hadn't even set foot on the summit massif. I understood their decision, yet I was curious to see what was up there. I figured I'd figure out a good plan to get off the mountain. The next morning, an expedition of British Marines and Paratroopers rolled into camp. They invited me to camp and climb with them. I was stunned. And I figured it was a sign from the universe. Those other Brits were still acclimatizing and I had been there for a week. I did a solo climb up to 17,000 feet and left a tent up there, then climbed down. Two of their team Andy and Will were keen to climb higher to check out the route. So the three of us climbed up and slept in my two person tent. The next morning we climbed higher, reaching the top of Denali Pass at 18,000 feet, just 2,000 feet below the summit. It felt good to be together with guys I felt safe with and we were working well as a team. I knew that they needed a few more days to acclimatize. I decided I'd go back with them then together, we'd come back and climb to the top in a few days. However, Andy un-clipped me from the rope and said they'd wait for be at the tent.... He pointed out that, "You are ready, what if the weather changes and you miss your chance by coming back with us"? He was right. Conditions were perfect, but they don't stay this way long in Alaska - and I was ready. I hadn't planned on going solo to the summit and I had some fear. I also had everything I needed, equipment wise, and it felt good. It was weird though, not a single other person on the summit that day. It was too cold to stand around chatting, so we shook hands and went our separate ways. It felt right and I'll never forget the feeling of empowerment from setting out - the rush of being totally committed. Action really does deflect fear. I find, too, with solo climbing that the focus of making sure each footstep is solid and that each swing of the axe counts - is quite intense (if you fall, there's no rope) highly meditative. For me - it often led to a steady state of euphoria, peak flow. A thing I've often wondered about, is whether it's the breathing that feels good, deep regular breathing is essential to performance at high altitude and it becomes the object of ones focus, in ways similar to a sitting meditation. After about two hours climbing, the top came into view, a long sweeping ridge with about a thousand feet to go. I knew it would work out. I felt sad that my friends had turned back, but I really appreciated being alone that day - I felt safe on my own and I felt that sense of freedom from doing what feels true. Something else was true - it wasn't that hard. Just breathe - step - flow. It was beautiful and the views from 17, 18, 19 and 20 thousand feet were too vast for my mind to grasp. I went up until there was no more up to go. I don't think I ever told anyone this but, it was walking off that summit that I decided I had to change my career. It was a simple decision. I've often wondered what might have been different if I'd turned back early. I think I needed that extra week in nature. I needed the lessons, the new perspectives - both visual and emotional. It changed my life in not small ways. My buddies were waiting in the tent. They fed me and warmed me. I did the same for them two days later when they went to the top. I found a selfie from that night. I'm so glad we started the Nature Rx 100 plan and I'm full of gratitude for everyone's involvement. I heard some solid goals this week, I learned much, noticed a lot of commitment and saw a great deal of enthusiasm. The weekend is here. Enjoy! Took a pic at summit on Denali. This is looking east with the summit ridge behind.